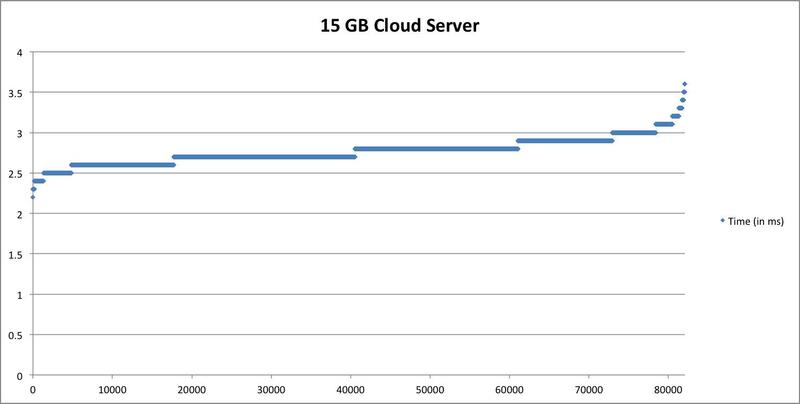 Rackspace Cloud Servers come in various sizes, and larger Cloud Servers are allocated a greater portion of available hypervisor resources. 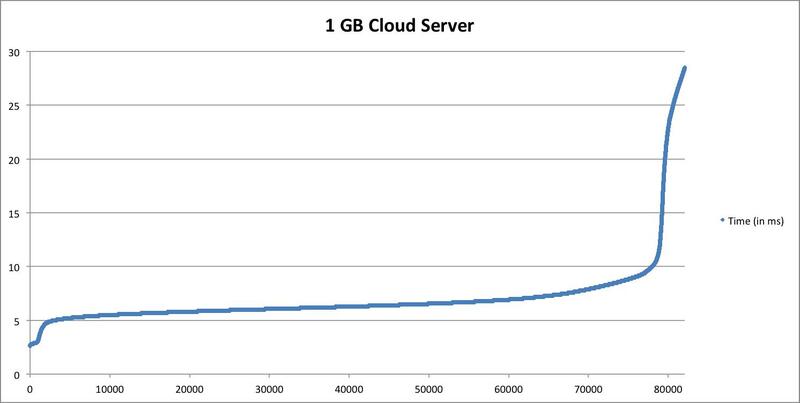 As of today, our largest Cloud Server (30 GB RAM / 1.2 TB disk space) consumes the entire physical hypervisor. 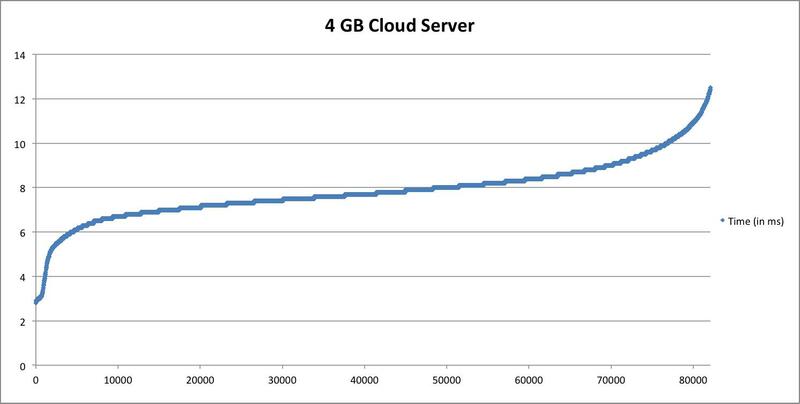 A 15 GB Cloud Server consumes half of the hypervisor’s resources, an 8 GB server consumes a quarter, and so on until you get to the smallest allocation we provide (512 MB / 20 GB disk space). 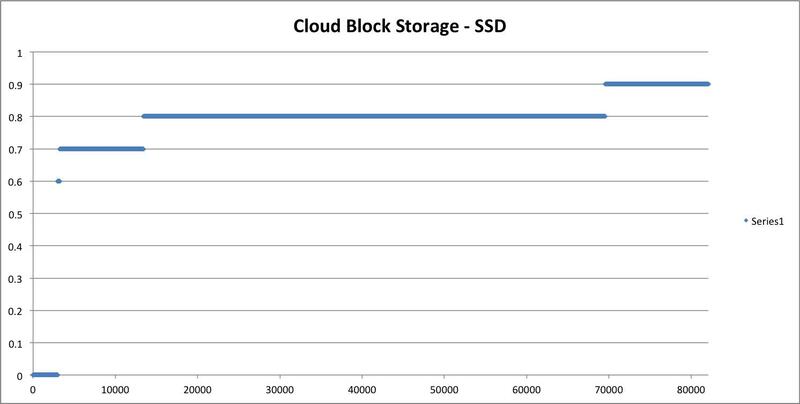 Not surprisingly, SSD Cloud Block Storage performs better than any other option tested. Always size your Cloud Server according to your RAM and storage needs. If you need additional storage, Cloud Block Storage will suit you well. If your server needs to run I/O intensive workloads, you should run at least an 8 GB instance to keep I/O latency to a minimum or add SSD Cloud Block Storage for good performance. 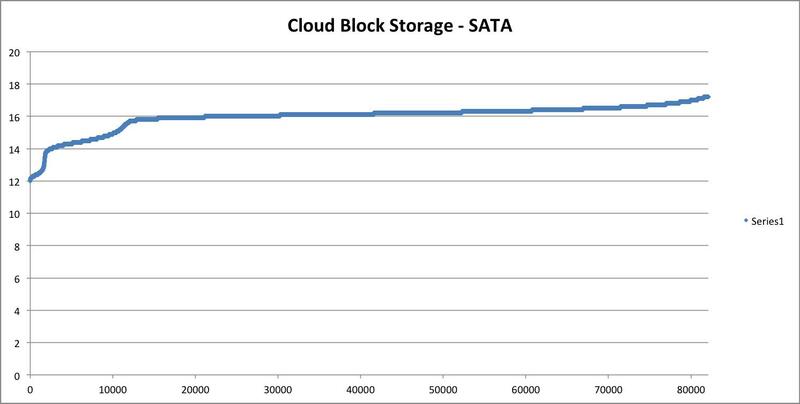 For all other bulk storage needs, SATA Cloud Block Storage is your most cost effective option. If you choose to run SSD Cloud Block Storage for your database, consider using your local storage allocation for database backups.